How can a rice packaging design affect purchase decision? 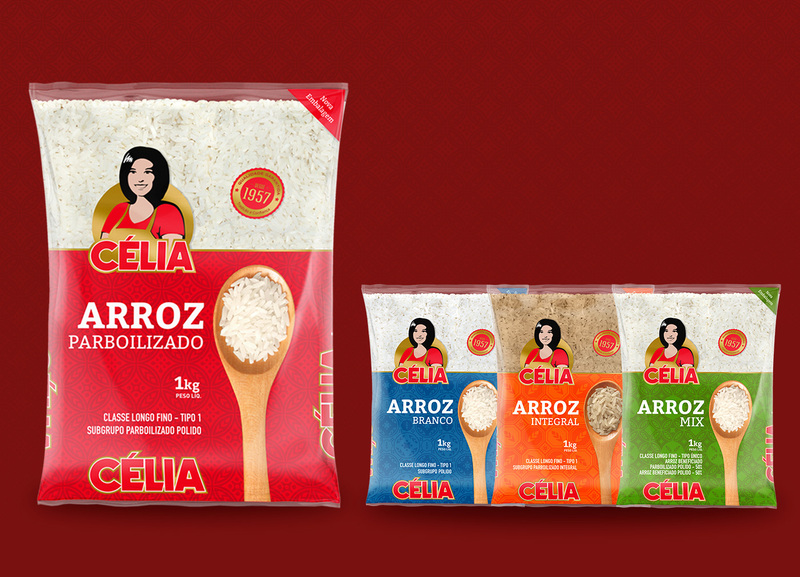 Celia is a Brazilian rice brand and its biggest challenge was to implement brand repositioning in the crowded rice marketplace. Despite the large number of competing brands, we realized through analysis that most brands´ packages lacked attractiveness. 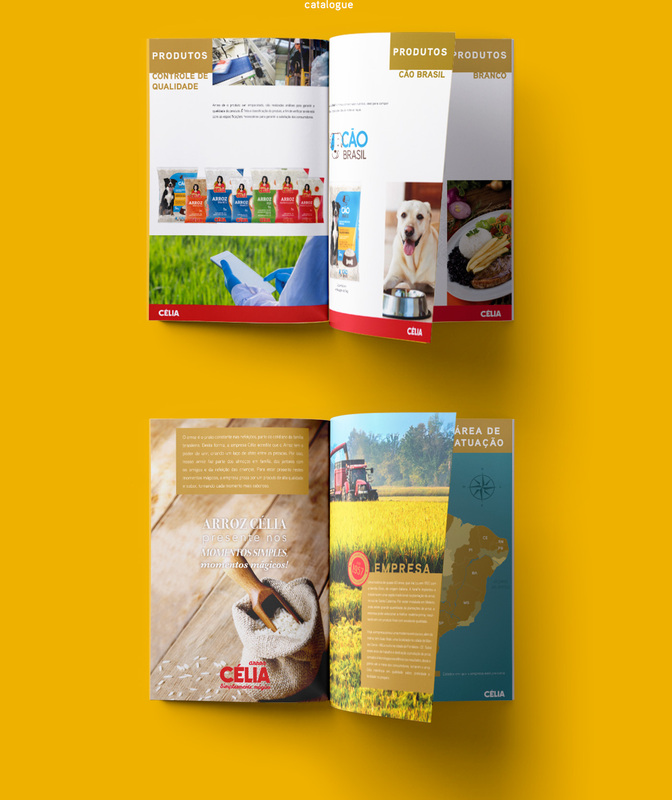 Our goal was to create an appealing visual language able to emotionally connect with consumers. 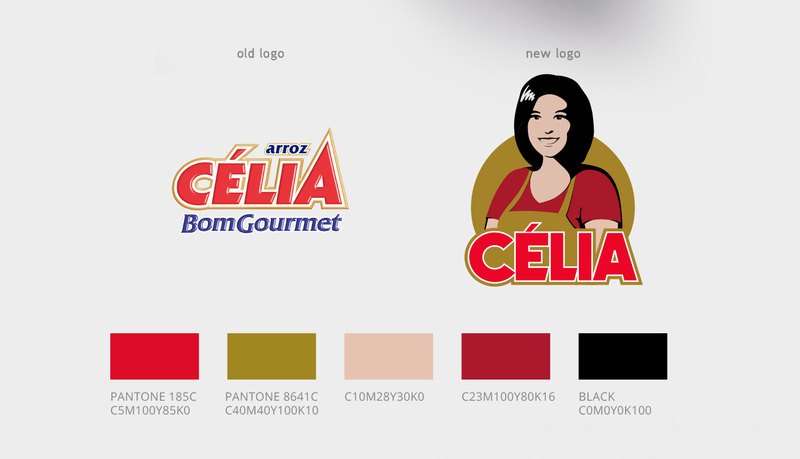 To attain this, we created a female character that could be associated with the brand´s name Celia. Female images are related to concepts of nurture and affectivity. Though cooking is not an exclusive female task, the cooking mother figure is still very present in popular imagery. 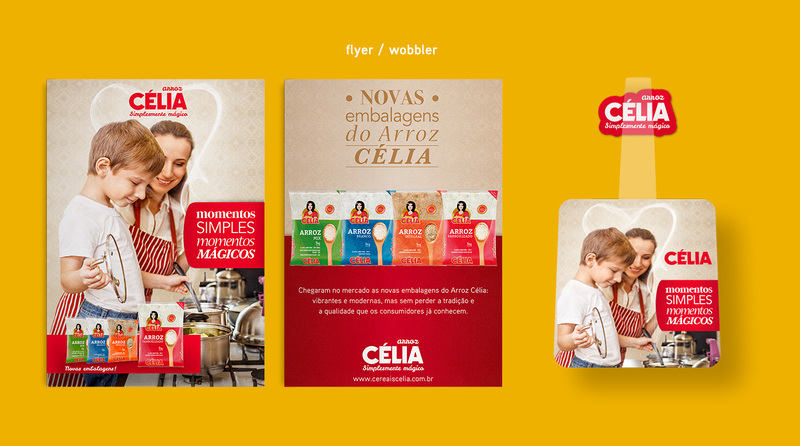 We also used the image of a wooden spoon in the layout composition. This element conveys a homely, cozy atmosphere. Moments enjoyed with family and friends, meals shared with grandparents, children learning to cook. 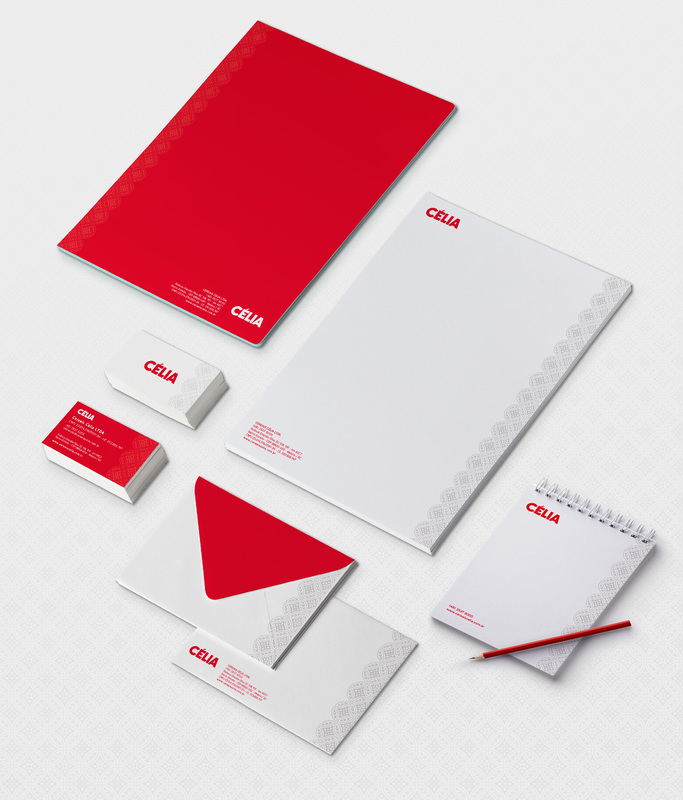 The intention was to evoke those images to create the emotional link with the brand. The new package design received an up-to-date layout, with a window in the upper part to allow product viewing. Each product of the line received a distinctive color and texture pattern. The patterns are inspired in old tiles of colonial kitchens. 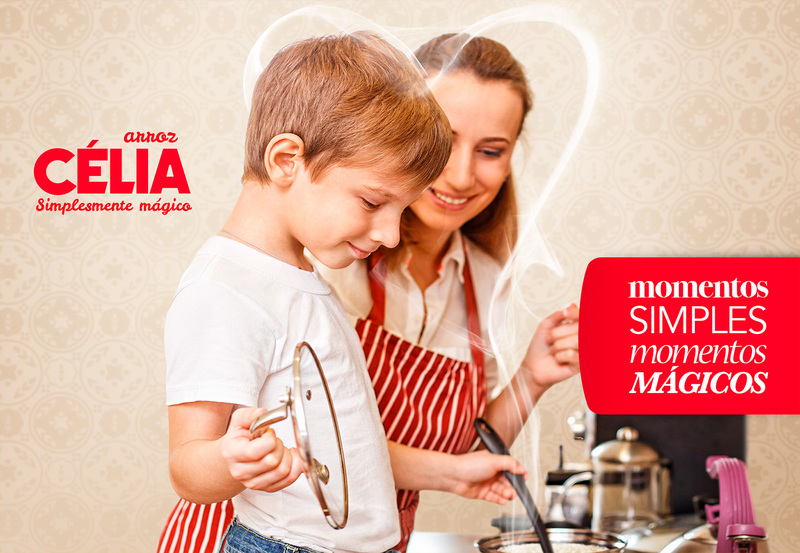 Finally, for the points of sale campaign we created the slogan: “Simple moments, magical moments”. 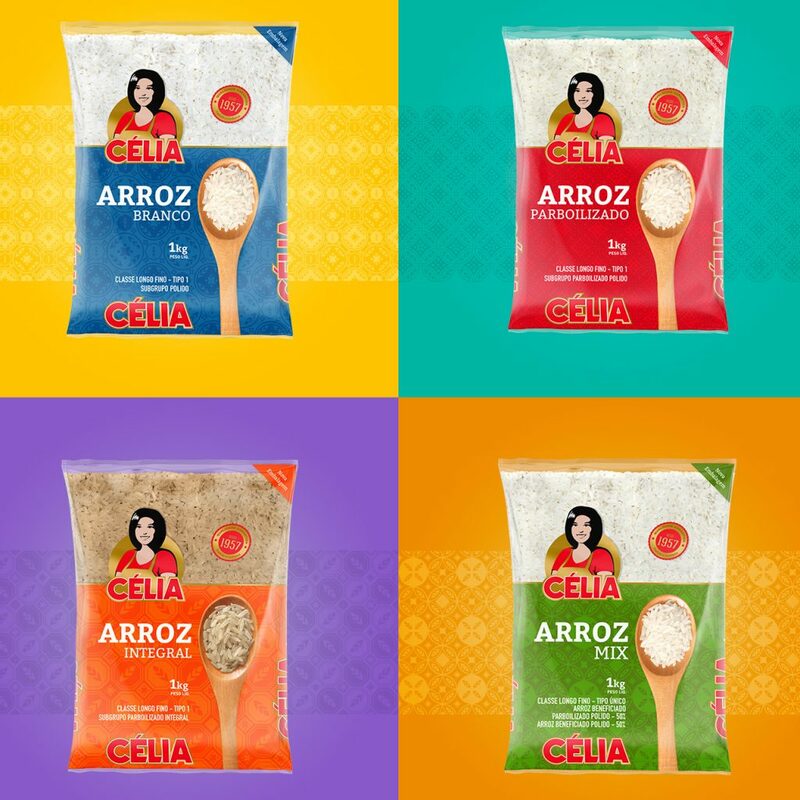 The new positioning enabled the company to stand out from competitors in points of sale with an eye-catching rice packaging design.